If you are looking for a simple way to understand the eurozone debt crisis, PIMCO's Mohamed El-Erian suggests thinking about an unsteady hammock. 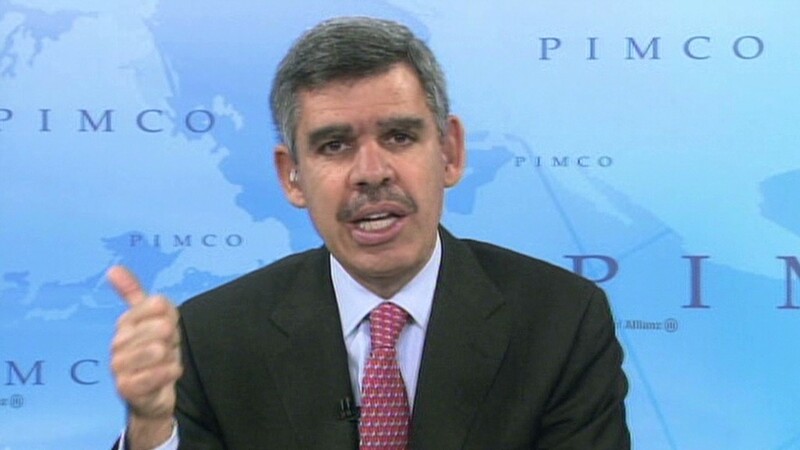 Mohamed A. El-Erian is the CEO and co-CIO of PIMCO, one of the world's largest investment management companies. This summer I have been asked a lot about Europe -- not so much by economists but by others concerned that the lingering crisis there would make their daily economic life even more challenging. 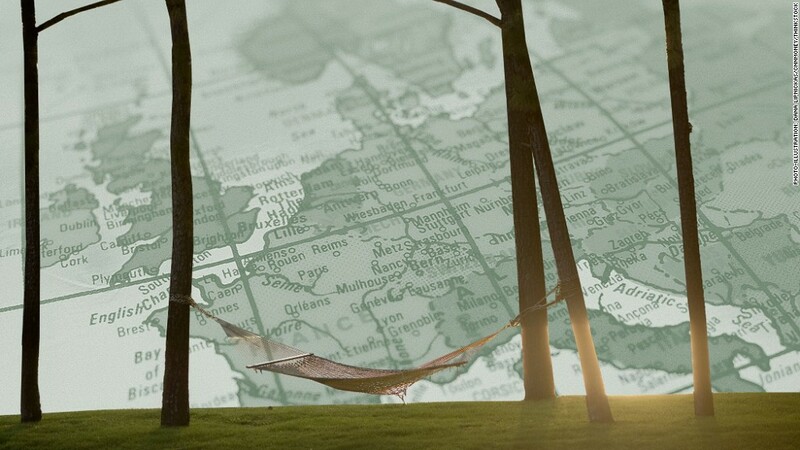 In responding to these questions, I have often struggled to summarize in a few sentences the causes of Europe's existential crisis, let alone what is likely to occur next (including elements of a solution) -- that is until I tried to use a hammock. I don't know about you but, the very few times I have tried, I have found it very hard to lie down properly on a hammock. Moreover, my latest attempts to do so this summer became the source of endless laughs. Here is what I learned ... rather painfully. 1. The starting point is critical. Unless you position yourself skillfully at the very outset, it is extremely difficult to secure a stable and sustainable outcome thereafter. 2. If you fail in the initial positioning -- which I did, repeatedly -- the construct of the hammock limits the prospects for adjustments on the fly. 3. Marginal adjustments -- such as edging your body along the hammock -- risk unfortunate outcomes: either an outright fall or rather peculiar ventriloquist-like positions that are hard to maintain for long. 4. With that, you will find that others will step away from the hammock, fearing that your spill could somehow harm them. 5. The right answer is to stand up and try again. But it is hard to elegantly get off a hammock if your initial positioning is wrong. It's not just a matter of pride. You may often end up falling to the ground. All of which takes us to Europe, whose monetary union -- and with that, its historic and important regional integration initiative -- is being threatened in a menacing way. Europe started out with an incomplete design. The monetary union, which introduced a much-appreciated common currency (the Euro) and a powerful regional monetary institution (the European Central Bank or ECB), was insufficiently accompanied by other steps that are critical to longer-term stability. And these initial design flaws were amplified, loudly and visibly, by the impact of the 2008 global financial crisis. Realizing their design problems, European officials have been trying hard to adjust on the fly rather than attempt a fundamental revamp. And like someone placed awkwardly on a hammock, such marginal adjustments have proven of limited effectiveness given the extent of the initial design flaws. Yes, they signaled a commitment to the regional European project; but they did little to improve its threatened sustainability. The longer the instability, the larger the incentives for others to disengage from Europe's monetary union. Day after day, private capital has been abandoning the weakest members of the eurozone and, in some cases, Europe all together. You see this in the massive flow of investments and bank deposits from the peripheral economies, such as Greece, to the core nation of Germany. You also see it in the exit of money from Europe as a whole to jurisdictions deemed less problematic, most notably Switzerland and the United States. The exiting of capital amplifies the instability of the eurozone -- not only by transferring sizable liabilities from the private sector to tax payers, but also by withdrawing the oxygen that sustains hiring and investment in plants and equipment. As the weakest economies slowly implode, and as the stronger economies resist taking on more liabilities, the broad-based recognition is setting in that the eurozone requires a major institutional revamp. Yet, similar to a person hesitating to get off an unstable hammock, there is no rush to do so. Given the risk of an immediate disruption and the inevitably uncertain aftermath, no European leader is eager to go down in history as being responsible for major institutional changes to the eurozone. They would rather someone else be held responsible. In the meantime, the region's financial problems continue to grow, human suffering increases (including 50% plus youth unemployment in two of the seventeen member countries), and the solutions (and associated grand political bargains) become even more complex. So yes, despite the appearance of significant policy activism (particularly by the ECB), Europe's crisis is likely to linger for a while. There is a meaningful risk that the situation could well get worse before it gets better. And with Congress paralyzed by extreme political polarization, the United States is not yet doing enough to insulate itself against Europe's hammock dilemma.